Home Resource How do you use System.Drawing in .NET Core? I’ve been doing .NET image processing since the beginning. In fact I wrote about it over 13 years ago on this blog when I talked about Compositing two images into one from the ASP.NET Server Side and in it I used System.Drawing to do the work. For over a decade folks using System.Drawing were just using it as a thin wrapper over GDI (Graphics Device Interface) which were very old Win32 (Windows) unmanaged drawing APIs. We use them because they work fine. .NET Conf: Join us this week! 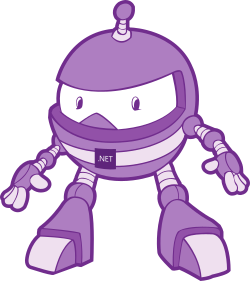 September 12-14, 2018 for .NET Conf! It’s a FREE, 3 day virtual developer event co-organized by the .NET Community and Microsoft. Watch all the sessions here. Join a virtual attendee party after the last session ends on Day 1 where you can win prizes! Check out the schedule here and attend a local event in your area organized by .NET community influencers all over the world. There is a lot of existing code – mine included – that makes assumptions that .NET would only ever run on Windows. Using System.Drawing was one of those things. The “Windows Compatibility Pack” is a package meant for developers that need to port existing .NET Framework code to .NET Core. Some of the APIs remain Windows only but others will allow you to take existing code and make it cross-platform with a minimum of trouble. There’s lots of great options for image processing on .NET Core now! It’s important to understand that this System.Drawing layer is great for existing System.Drawing code, but you probably shouldn’t write NEW image management code with it. Instead, consider one of the great other open source options. It’s awesome that there are so many choices with .NET Core now!